While my top five illustrators is a pretty fluid list, Steve Epting would float near the top spot pretty darn constantly. With his darkened, realistic detail on interior pages and painted workings on the cover, sirens should ring every time you try to walk out your local comic store without some of his work in your hands. Sure imitation is the sincerest form of flattery, but you only get funny looks from folks when you try to pay the bills with it. Hopefully for providing such brilliant source material Steve gets a credit or nod in the blockbuster itself - and not one of those tiny wee ones buried near the legal guff! 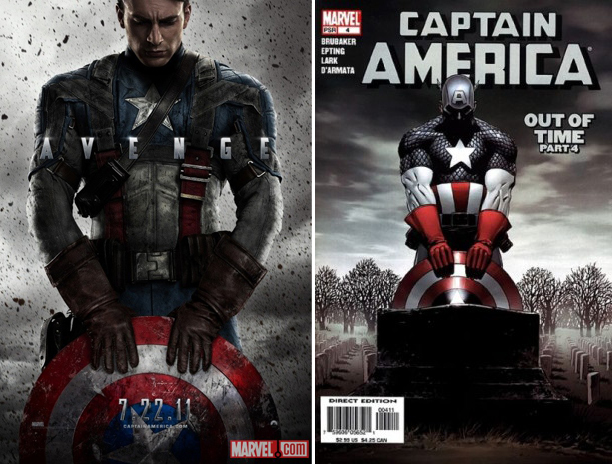 On a side note, if you're looking at these covers and not saying 'Got that' get thee to a bookstore pronto! 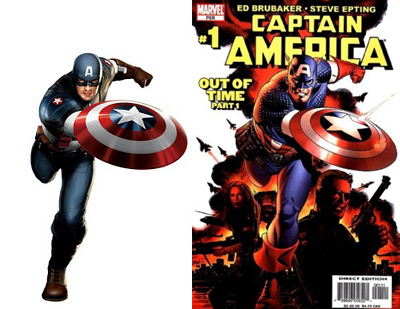 Brubaker and Epting on the cover of any Cap issue means its a purchase that'll do any wallet justice! 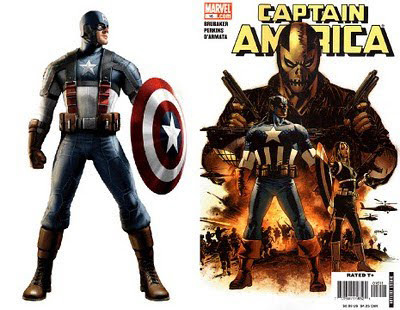 I am not surprised his art is referenced,Steve Epting's artwork is incredible, truly defines what a captain america book should look like. Loved his run with Brubaker. Completely agree IFF - thanks!